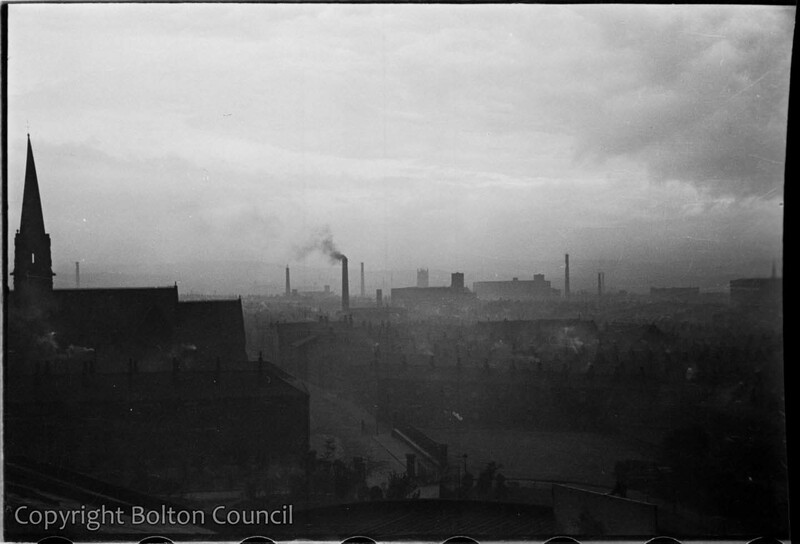 A view of Bolton from the roof of Mere Hall. This scene was painted by artists Graham Bell and William Coldstream who were invited to participate in the Worktown study. There are a number of photographs taken on the roof in the Archive. Seeing that photo I remember how often going to school on foggy and smoggy days without any mouth mask like the Chinese run around today in Peking. You could just see 4 to 5 yards and had to find the bus stop after memory. That was fun! I can still remember on my way home getting into the wrong bus because you couldn’t see the bus number on the front.